We commence a new era in which we have more production capacity and a renewed commitment with innovation and quality. 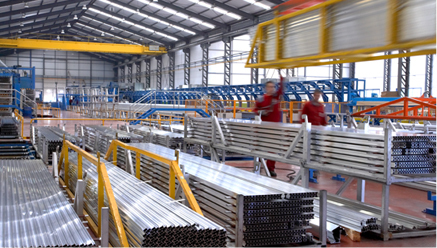 AV Alumitran is born from the strength, reputation and experience of various benchmark groups within the aluminium sector. Our plants count with the most advanced technology for the manufacturing of competitive products, capable of satisfying the most demanding needs in this new globalised market in which we carry out our activity. Our mission is to transform aluminium into quality solutions both for the national market, with presence throughout the whole territory, as well as internationally, with commercial delegations in Germany, United Kingdom, France, Italy, Benelux, Portugal, Morocco and Central America. 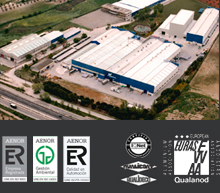 AV Alumitran intends to be known as the main Spanish company within the market for extruded aluminium profiles, and one of the most prestigious internationally, thanks to the positive attitude, entrepreneurial nature and talent of its professionals, who strengthen and differentiate the capability of AV Alumitran with regards to quality, efficiency, innovation and customer service. 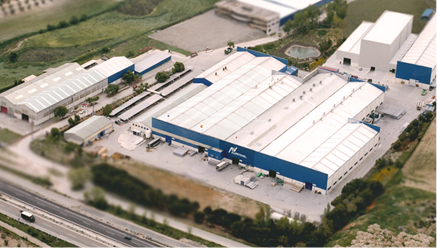 AV Alumitran is a company with renowned prestige within the Spanish aluminium extrusion sector, with the clear objective of continuing with its international expansion strategy. 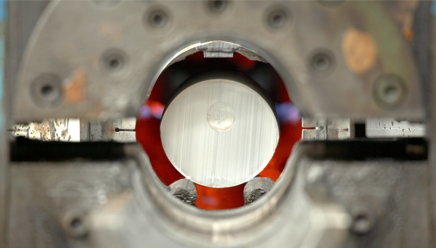 Our mission is to offer efficient solutions and responses to the specific needs of our clients, seeking excellence. The values of AV Alumitran revolve around the persons that form the company, given that our added value is dependent on them. All these make AV Alumitran the best option for our employees, and for our current and future clients.